This entry is filed under Illustration, Web Design. In the last few weeks we’ve learned a lot about different types of compass… and it’s got nothing to do with our recent travels! 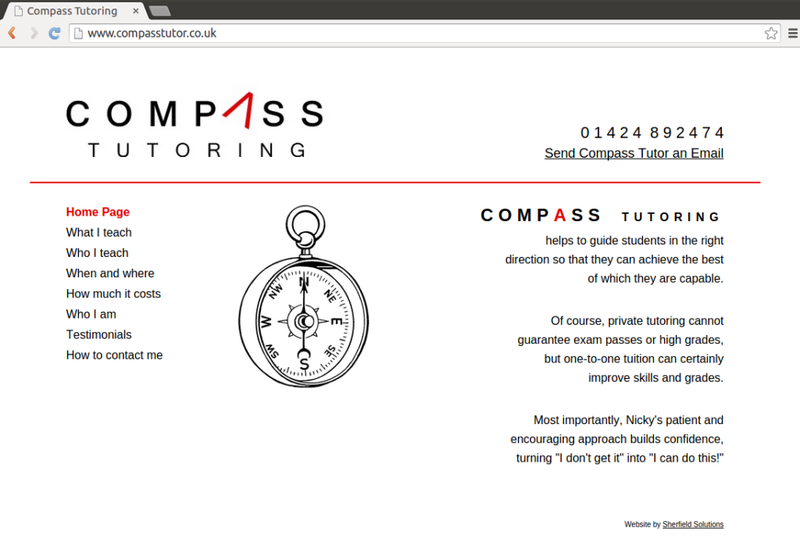 Instead, it’s got everything to do with Compass Tutoring; the trading name of Nicky Bishop who provides private tutoring services. 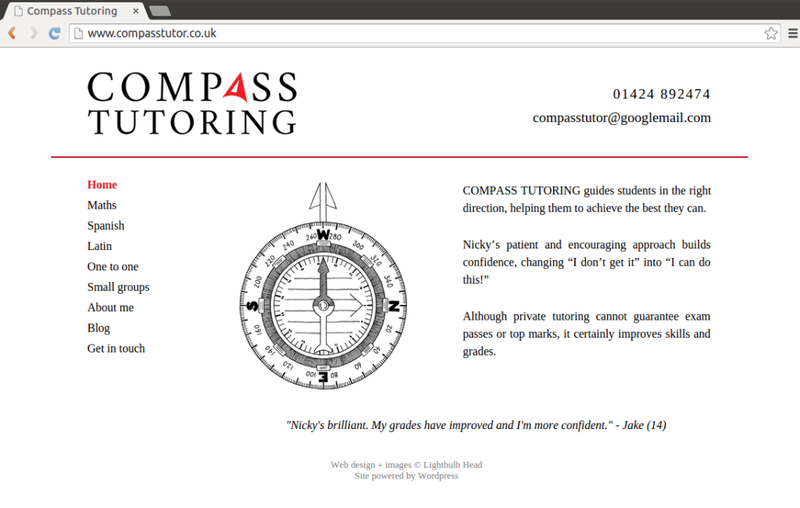 The initial brief was to refresh her logo and re-write her website, but after our first meeting with Nicky, she also asked us (well, Kiri) to provide her with new illustrations for the website, hence the research on different types of compass (or should it be “different types of compasses…?”). Nicky was happy with the previous logo, but wanted to tweak the ‘A’ character so it looked a little bit more like a compass needle. She also wanted to move to using a serif typeface too (to make it a little more scholarly), so once we’d made those changes, our minimal work on it was complete (you can see the old and new logos on the website screenshots below). Similarly, the previous website was pretty good in terms of a clean and simple design, but as there was no content management system behind it, Nicky was unable to make content changes herself. The main bulk of the work though was providing a new set of illustrations for the site. On each page of the previous site, Nicky had chosen a different illustration of a compass, but these were from different sources and in different styles. So, she asked Kiri to put together a set of compass illustrations that would be more consistent and uniform for the new site. It’s the first bit of paid illustration work that Kiri’s done as part of Lightbulb Head, as most of our previous work has been more graphic design focused. However, we might be plotting a course and navigating more in the direction of illustrative work in the future.